Six Sigma Green Belts are individuals that work on simple process improvement projects. Traditionally, their job would require less than 50% of their time be focused on Six Sigma projects. However, Six Sigma Green Belt roles and job requirements will vary between companies. A Green Belt certification is ideal for those that will be tasked with improving existing processes, these could be processes that are not standardized, don’t have established metrics or looking to reduce errors or cycle time of those processes. 6Sigma.us offers an internationally-recognized Six Sigma Green Belt training and certification program. 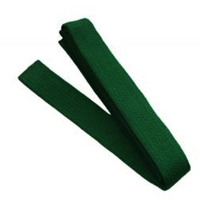 As part of our four-week Black Belt option, our Green Belt program may be taken alone or as the first step to earning your Black Belt. In fact, 6Sigma.us was the first organization to offer a program that allowed students with no prior experience to complete the Green Belt and Black Belt programs consecutively to earn an internationally-recognized Black Belt certification. There are no prerequisites for the Green Belt program. White & Yellow Belt concepts are covered during the first 3 days of training. There are no prerequisites for our Six Sigma Green Belt. Students will receive two certificates- one certificate for successfully completing the training, and another certificate for successfully completing a live project, which will designate individuals as internationally-recognized Six Sigma Green Belts.